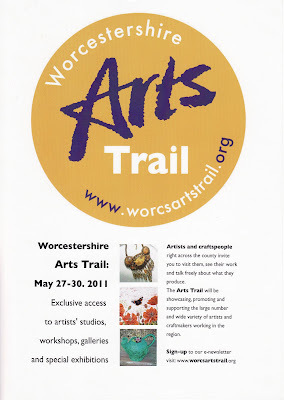 I've sent my form off for the new Worcestershire Arts Trail! I'm looking forward to being involved in the first event over the May Bank holiday weekend this year. There is still time to apply at the closing date for applications is now 31st January....so get your forms in ASAP! We are hoping this will become a popular annual event as there is a wealth of talent in Worcestershire & it's great to be able to visit artists, designers & makers in their studios. 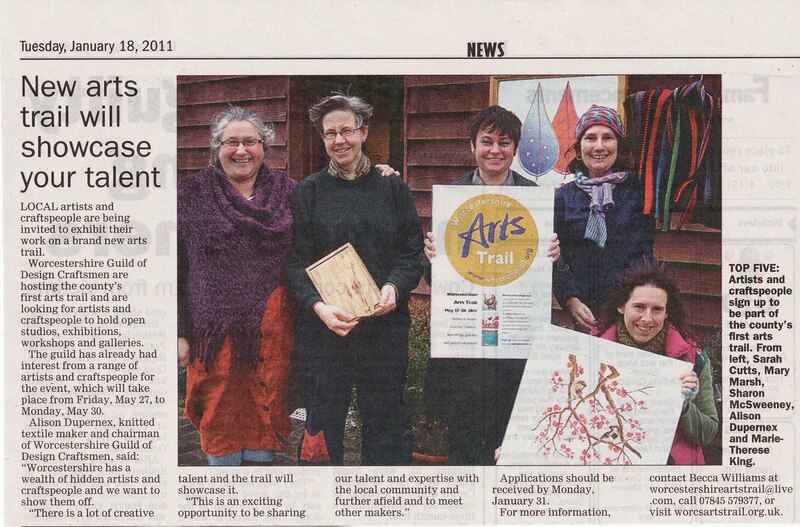 Many participants will also be demonstrating or holding workshops during the 4 day event. Many of the studios at The Fold are going to be taking part & lots of the Worcestershire Guild of Designer Makers members are involved too. Altered Book project catch up! These images were produced using a combination of photographs, stamps, inks, b&w photocopies, collagraph print & metallic oil pastel. The show has been on since 13th November & finishes this Sunday 9th January so there is still a little time left to see it! I'm glad I managed to get there as I've not seen any of the paper cuts in the flesh before only as reproductions. The work is really amazing....I don't think I'd have the patience??? These are a few of the photos I took this morning - lots of them are at funny angles to try & avoid reflections on the glass.